Zhao Gou is moping and getting drunk. No sympathy. He cries about having to keep running from Jin, and how everyone is calling him a coward. He has a mental breakdown. Yue Fei’s daughter, An Niang, complains about being hungry. A Jin soldier gives her half a mantou. The bandits discuss what they should do with Xiao E and An Niang, who are busy running away. 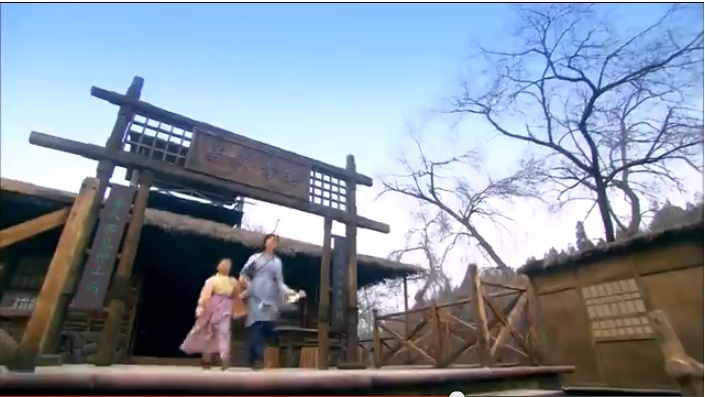 Yue Fei goes to find General Du about the Yellow River plans. He is left waiting the whole day, while General Du has some fun with women. After standing outside for a day and a night, Yue Fei is finally summoned. He argues and lectures General Du. Yue Fei makes General Du promise that if Yue Fei can defeat Wu Zhu and his machine, then the Yellow River will be left alone. Yue Fei goes to discuss the latest developments with the Zhong Yi group. There’s a funny scene when Su Su gives everyone an egg, but hands Yue Fei two eggs. 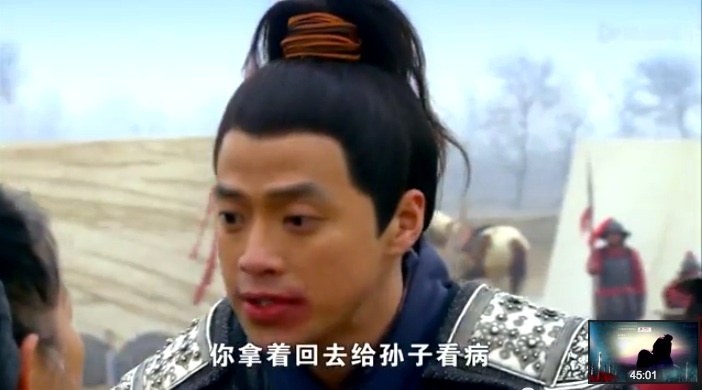 Bro Squad protests and accuses her of favoritism, and Yue Fei just hands out his extra egg. LOL. Yue Fei forms an alliance with the Zhong Yi group. They rename themselves as a soldier-citizen alliance. What?! Yue Fei’s men still haven’t found Xiao E and An Niang…Bro Squad just says he left a letter at home so it’ll be fine. BUT WHAT IF THE BANDITS KILLED THEM?! YOU GUYS AREN’T GONNA LOOK HARDER? Yue Fei hopes the letter is enough. Thank goodness Xiao E returns home with An Niang and reads the letter. 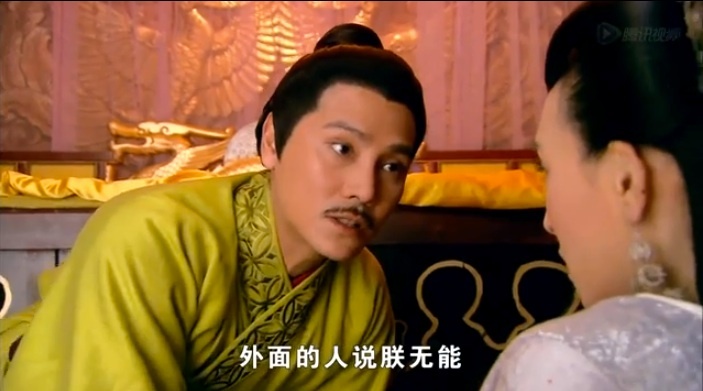 Zhang Yong shows Yue Fei his latest get rich scheme. Yue Fei beats him up. Zhang Yong gets angry and defensive. 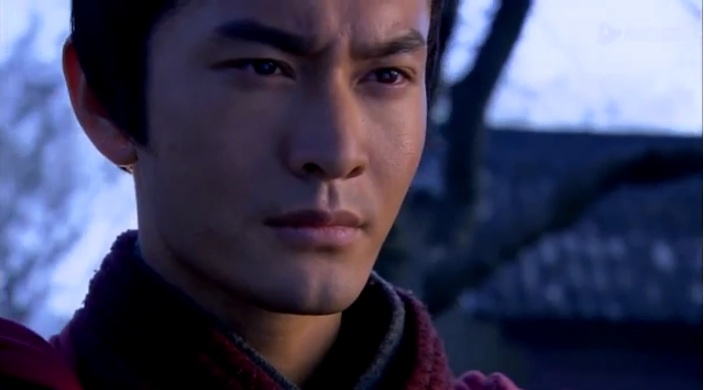 He and Yue Fei exchange all sorts of insults, warnings, and threats. Aw, I think Zhang Yong really just wants praise and acknowledgement. He’s not a bad person who only does things for money (like Uncle Yue). And to prove this point, Zhang Yong gives an old lady some money for her sick grandson. Wu Zhu is shooting arrows again. Everyone worries about the impending showdown between Wu Zhu’s machines and Yue Fei. 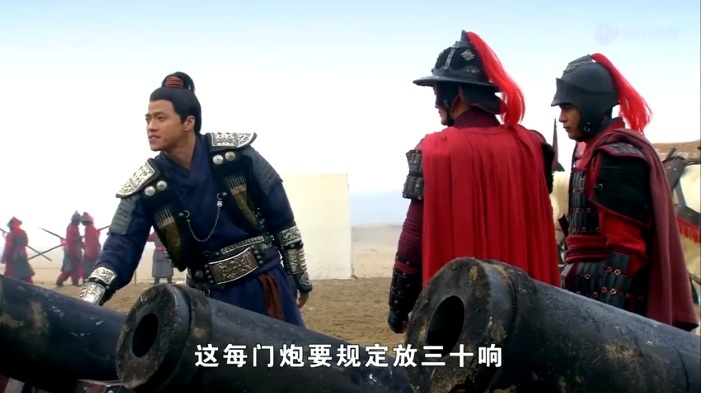 Zhang Yong finally argues with General Du about the cannons lined up. These cannons are aimed at the north, where the Jin army would be. However, the cannonballs would also hit a lot of innocent citizens. That’s what Yue Fei was fighting with Zhang Yong about. Aw, Zhang Yong really did get married! He and Wu Shi Ma get ready to escape. This entry was posted in Chinese Dramas, Culture, Drama Recaps/Reviews and tagged 精忠岳飞, Episode 28, Huang Xiao Ming, Jing Zhong Yue Fei, Patriot Yue Fei, Recap. Bookmark the permalink.